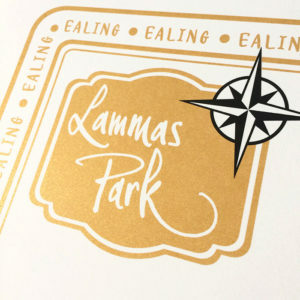 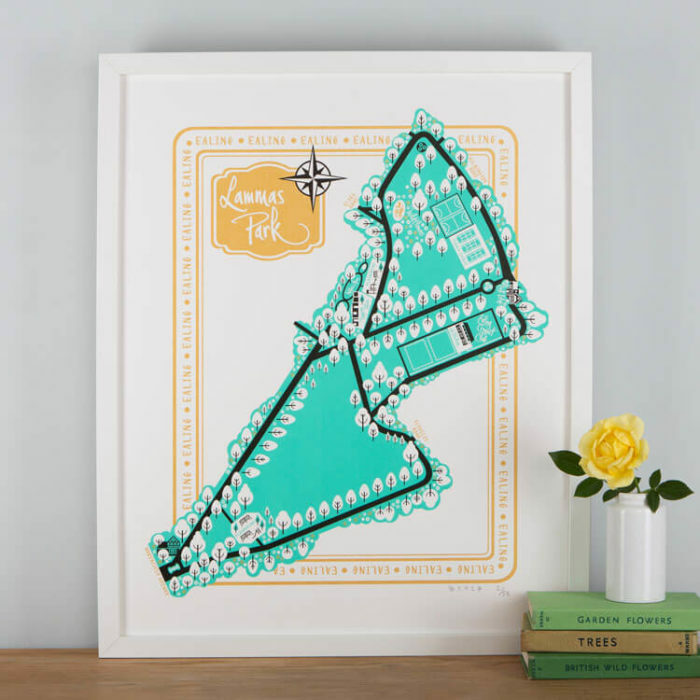 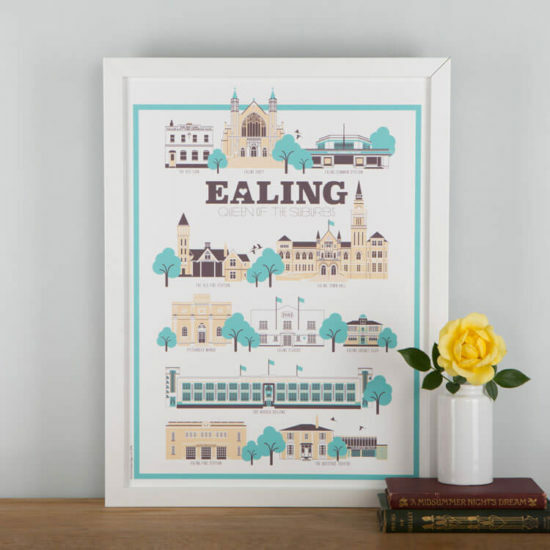 Vibrant illustrated map of Lammas Park in Ealing created exclusively by Charlotte Berridge. 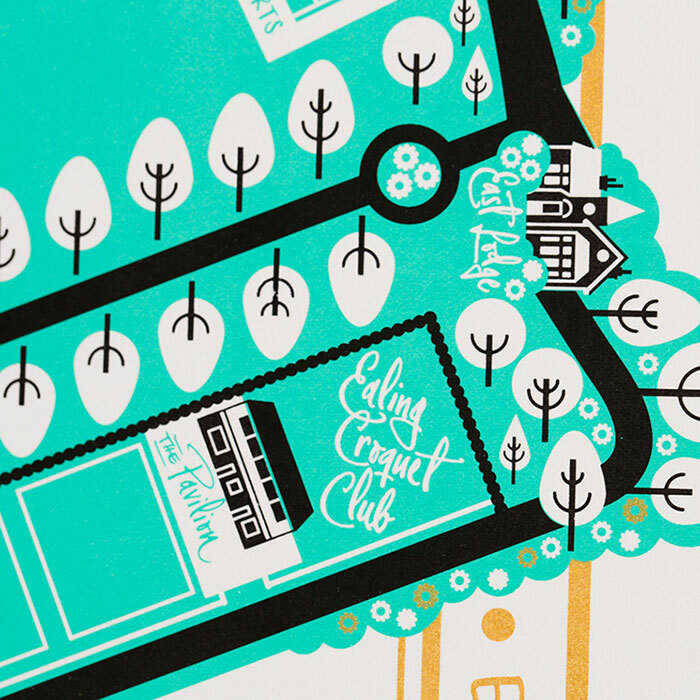 Limited edition print, screen printed by hand on heavy weight (285gsm) Fabriano Rosaspina White paper. 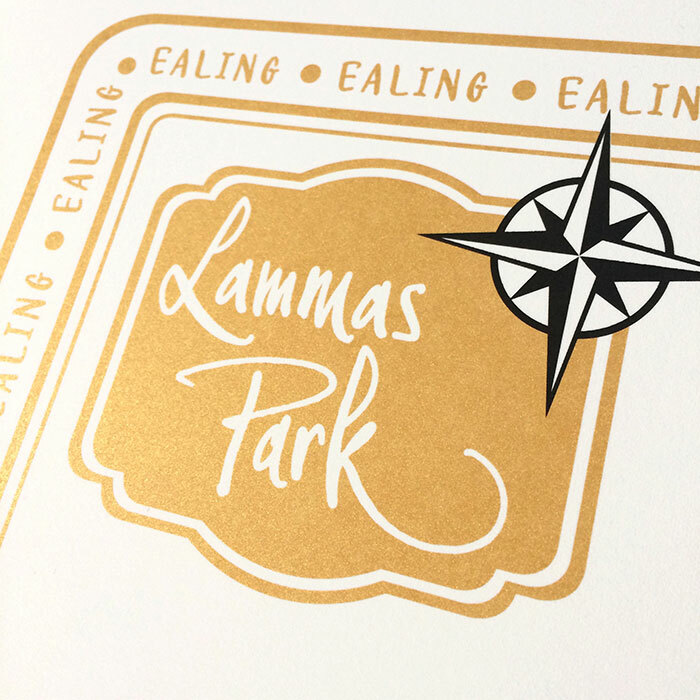 Printed in the UK using metallic gold & rich environment friendly fade resistant inks. Each print is signed, embossed and numbered as part of a strictly limited edition of 50. 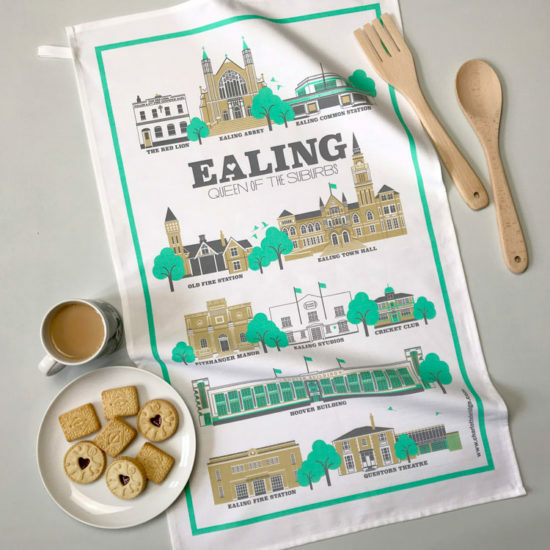 These items are sent in the UK by First class ‘signed for’ Royal Mail. 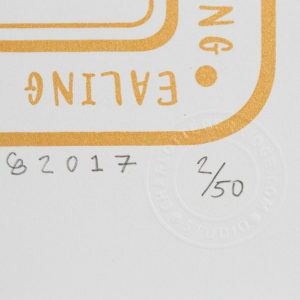 Each print is delivered flat as the paper is very thick so rolling it in a tube will damage the print. 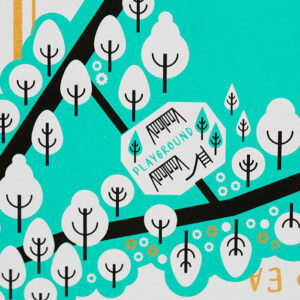 Please note, the Walpole Park version which matched this print has now sold out.